To celebrate the Year of the Earth Pig, Caroline recommends a trip to your local Chinese restaurant with a bottle of Red by Caroline Dunn Mataro under your arm. There can be some challenges to pairing Chinese food with wine, but over the years Caroline has mastered the basics, she has shared them with us below. The evolution of Chinese cuisines has taken place without wine being front-of-mind as an integral part of the meal, with the Chinese often tending to opt for tea, beer or even spirits. At a Chinese banquet, the combinations of different meats, seafood, and vegetables, prepared in a variety of sauces with a vast array of complex spices can make the choice of a single wine a tricky one. But matching wine with specific dishes and specialties, rather than trying to fit the wine to every dish on the table, can be relatively straightforward and follows similar principles to how we would choose wines for any other meal. As a rule of thumb, lighter wines will pair better with lighter flavoured dishes, while more robust foods can handle richer, bigger wine styles. And the overall dish is as important as the key ingredient when matching wine with Chinese food. Meats prepared in a very delicate fashion might only suit a white wine or light bodied red. Heavy tannins will definitely overpower and clash with subtle flavours. As will excessive oak. Whereas seafood served in dark rich sauces like soy and black bean will generally pair better with a lighter red, rather than a white wine. Delicate seafood, scallops, and steamed whole fish are the perfect match with crisp Rieslings and Sauvignon Blancs; seafood with ginger-based sauces are a delight with a Gewurztraminer or Gruner Veltliner; and sweet-and-sour dishes match perfectly with a crisp, fruity Rosé or a full-bodied Chardonnay, with rich fruit and texture to complement the dish and a touch of oak to provide a savoury respite. Peking Duck and Pinot Noir are well known as a match made in heaven. But this and many other duck dishes will work equally well paired with Mataro or a soft, juicy Grenache. Rich fruity reds are perfect with barbecued pork ribs. Bigger reds like Shiraz, with a touch more tannin, will work well with rich roast meats and braises and Cabernet Sauvignon is ideal with beef in black bean sauce. Fruitier reds tend to suit Chinese spices, rich meats, and heavily flavoured foods rather than more savoury red wine styles, so Australian reds are often ideal choices. Spicier foods suit clean, simple wines with more fruit sweetness rather than more complex dry styles. Fortunately, the bounty of Naked wine styles is almost as diverse as the profusion of delectable Chinese dishes. So go forth to your next Chinese banquet without fear. Wine and food are meant to be enjoyed together, and Chinese food is no exception. 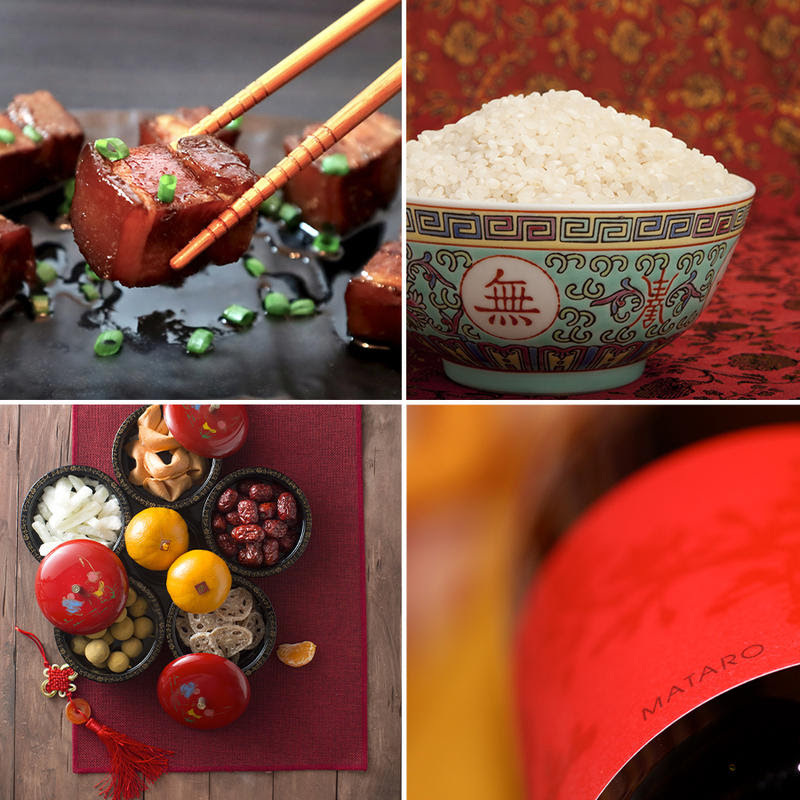 With a little care and planning, wine pairing with your Chinese banquet can be an epicurean triumph. Give it a try, and above all, experiment. Winemaker Caroline Dunn is always sharing tasty recipes, wine updates and more with Angels – make sure you’re following Caroline’s winemaker page! Join the winemaking revolution and become an Angel today! Our customers, called Angels, support independent, Australian and New Zealand winemakers in exchange high quality and afforable wine.